Use SmartAsset's Tax Return Calculator see how your income, withholdings, deductions and credits impact your tax refund or balance due amount. This calculator is updated with rates and information for your 2018 taxes, which you’ll file in early 2019. Is anyone in your household in their first four years of college? Do you have any childcare expenses? Do you have any college-related expenses? Have you made any student interest payments this year? Does your job offer a retirement plan such as a 401(k) or a 403(b)? Do you have any taxable investments? Adjust your federal withholdings to see if you will receive a tax refund. If you paid more than your tax bill, you get a refund from the IRS; if you paid less, you’ll owe the IRS money. Whether you save it for retirement, use it to pay down credit card debt or spend it immediately, a tax refund can be a great financial boost. Many Americans depend on their tax refund as an important part of their annual budget. If you want to estimate how big your refund will be this year, you’ll be well served by our free tax return calculator. 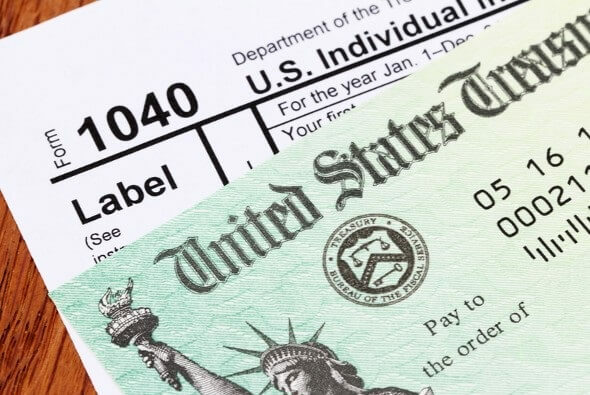 Every year when you file your income taxes, three things can happen. You can learn that you owe the IRS money; that the IRS owes you money; or that you’re about even, having paid the right amount in taxes throughout the year. If the IRS owes you money it will come in the form of a tax refund, while if you owe the IRS money, you’ll have a bill to pay. Our tax return estimator can help you figure out how much money could be coming your way, or how much you’re likely to owe. 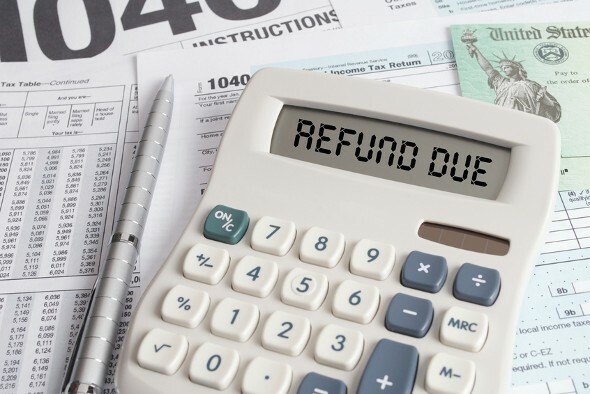 Why would the IRS owe you a tax refund? There are several possible scenarios. You might have overpaid your estimated taxes or had too much withheld from your paycheck at work. You might also qualify for so many tax deductions and tax credits that you eliminate your tax liability and are eligible for a refund. A tax return calculator takes all this into account to show you whether you can expect a refund or not, and give you an estimate of how much to expect. What if you’re eligible for tax credits that are greater than what you owe – say, $1,000 in tax credits with a $500 liability? Whether you get that $500 difference refunded to you will depend on whether the tax credits you qualify are refundable or not. Refundable tax credits go into your tax refund if they exceed what you owe. By contrast, some tax credits are nonrefundable, which means they have the power to reduce your tax liability down to zero but can’t be refunded to you if they exceed your liability. Our tax return calculator will take all of this into account when figuring out what you can expect at tax time. Our tax return calculator will estimate your refund and account for which credits are refundable and which are nonrefundable. Because tax rules change from year to year, your tax refund might change even if your salary and deductions don’t change. In other words, you might get different results for the 2018 tax year than you did for 2017. If your income changes or you change something about the way you do your taxes (for example, you decide to itemize your deductions rather than taking the standard deduction, or you adjust the tax withholding for your paychecks), it’s a good idea to take another look at our tax return calculator. You can also use our free income tax calculator to figure out your total tax liability. Using these calculators should provide a close estimate of your expected refund or liability, but it may vary a bit from what you ultimately pay or receive. Doing your taxes through a tax software or an accountant will ultimately be the only way to see your true tax refund and liability. Many taxpayers prefer to get their tax refund via direct deposit. When you fill out your income tax return you’ll be prompted to give your bank account details. That way, the IRS can put your refund money right in your account, and you won’t have to wait for a check to arrive in the mail. If you file your taxes early, you don’t have to wait until after the tax deadline to get your tax refund. Depending on the complexity of your tax return, you could get your tax refund in just a couple of weeks. To get a timeline for when your refund will arrive, you can go to www.irs.gov/refunds. You can check the status of your refund within 24 hours after the IRS notifies you that it has received your e-filed tax return (or four weeks after mailing your paper return, if you’re old school). In a given tax year, you may want to know how big your refund will be so you can plan what to do with it. You may want to use it to boost your emergency fund, save for retirement or make an extra student loan or mortgage payment. An accurate income tax return estimator can keep you from banking on a refund that’s bigger in your mind than the real refund that hits your bank account. It can also give you a heads-up if you’re likely to owe money. 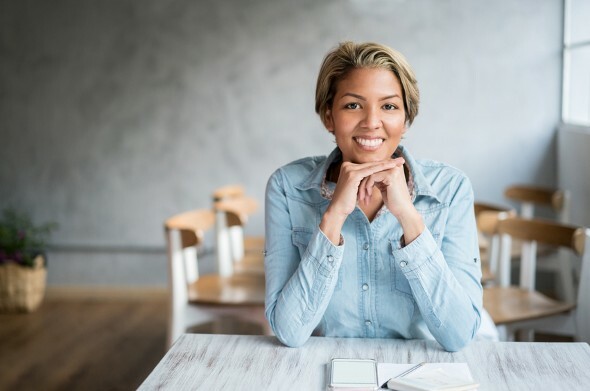 Unless you’re a tax accountant or someone who follows tax law changes closely, it’s easy to be surprised by changes in your refund from year to year. Use the tool ahead of time so you aren’t already spending money (in your head or in real life!) you may never see. You can also run the numbers through a tax refund calculator earlier in the year to see if you want or need to make any changes to the tax withholdings from your paycheck. SmartAsset’s interactive map highlights the counties that receive the highest tax refunds, as well as the counties that owe the most in taxes. Scroll over any county in the state to learn about tax returns in that specific area. Methodology Each tax season millions of U.S. taxpayers are issued refunds for the amount of money they overpaid that tax year. Meanwhile, some taxpayers end up owing money to the IRS after filing their taxes because they underpaid throughout the year. SmartAsset analyzed data from the IRS to determine the counties where people received the highest average refunds and the counties that owed the most on average after filing their taxes. To determine the counties that received the highest average refunds, we divided the total amount of money refunded by the IRS to each county by the number of refunds given out in each county. We did the same to calculate the average amount owed, by dividing the total taxes owed in each county by the number of filers that still owe taxes. We then ranked each county to determine where residents receive the highest average refund and where residents pay the most after filing their taxes.